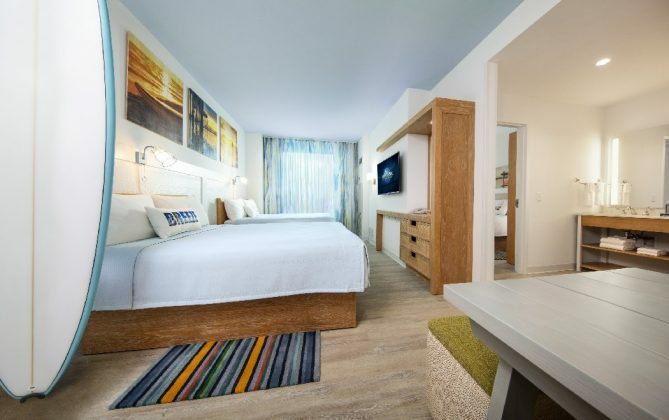 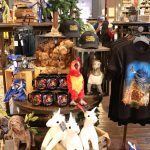 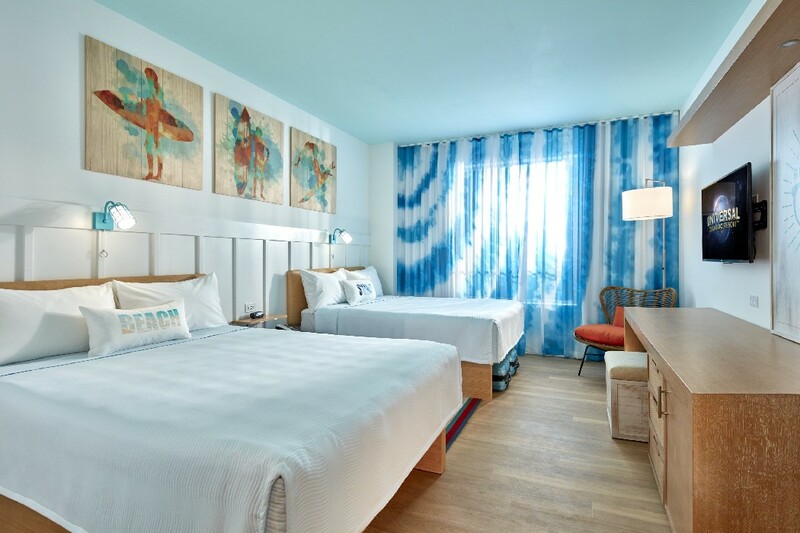 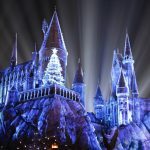 Universal Orlando Resort has shared all-new images of Universal’s Endless Summer Resort – Surfside Inn and Suites & Dockside Inn and Suites. 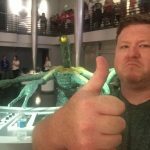 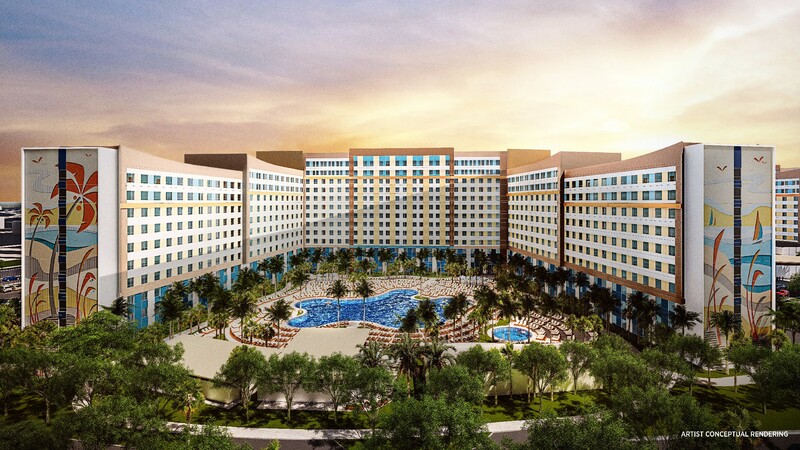 The all-new Value category resort is being billed as Universal Orlando Resort’s most affordable hotel. 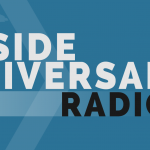 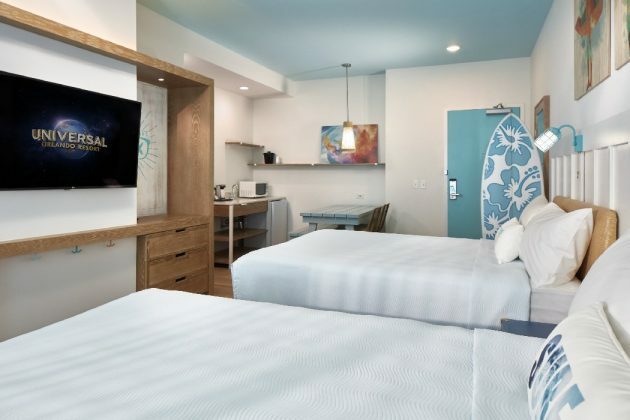 Surfside Inn and Suites will open on June 27, 2019 and its sister property, Dockside Inn and Suites, will open in Spring 2020. 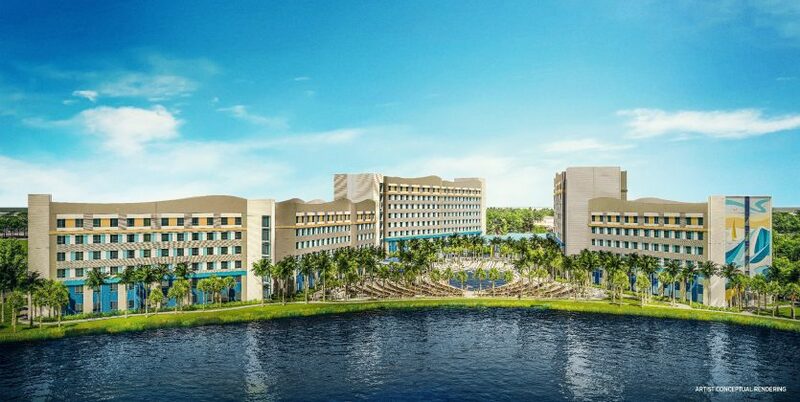 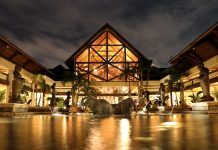 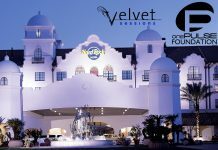 The hotels will feature a combined 2,800 guest rooms, including 1,450 two-bedroom suites. 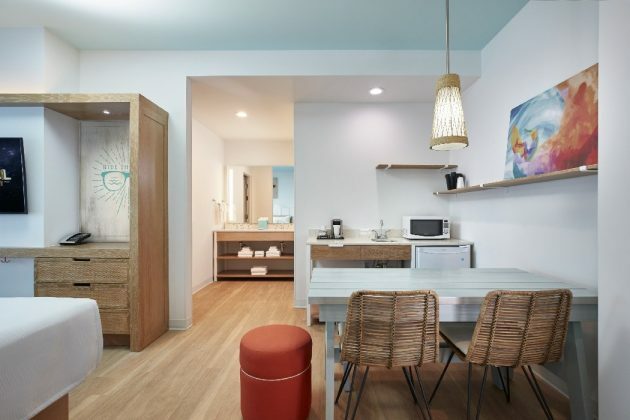 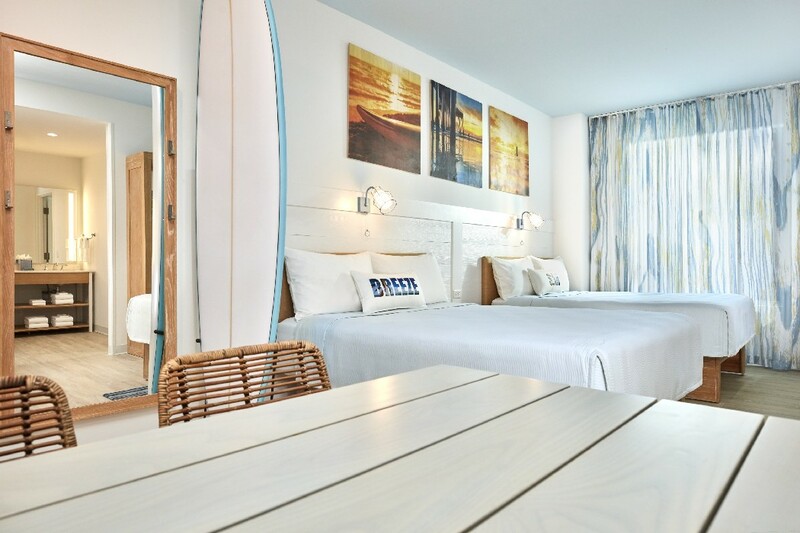 Surfside Inn & Suites draws inspiration from the ocean, featuring vibrant surf and wave-like features everywhere – in addition to sand-colored flooring, sea glass-inspired couches, and light fixtures designed to resemble bubbles forming from the crash of the blue wave overhead. 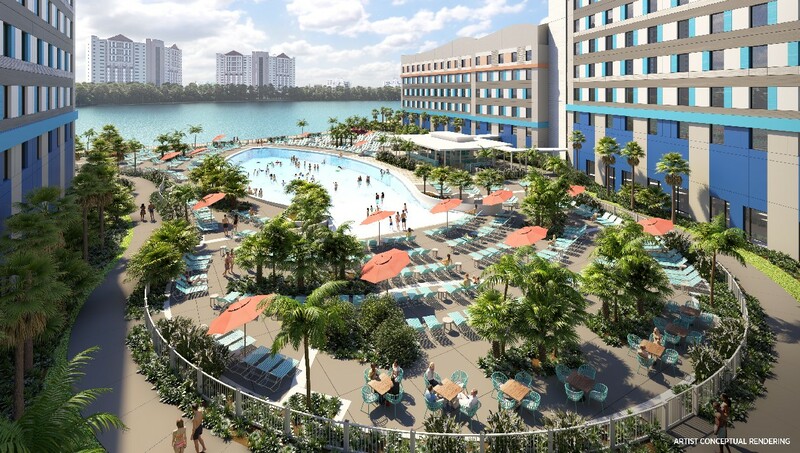 Even the pool is shaped like a surfboard. 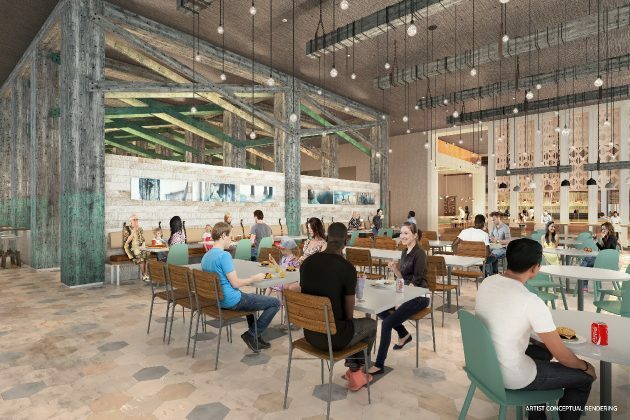 Over at Dockside, guests will be surrounded by natural woods and colors inspired by a beachside pier. The hotel has a relaxed, calm and carefree vibe. 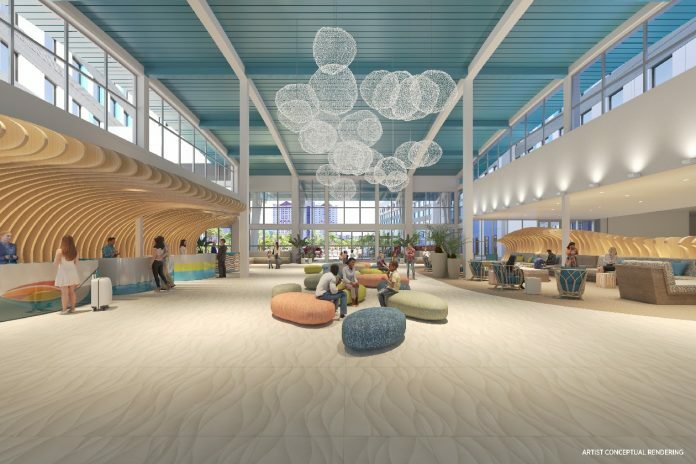 The lobby will include many driftwood features to “evoke the feeling of gathering around a sunset beach bonfire.”. 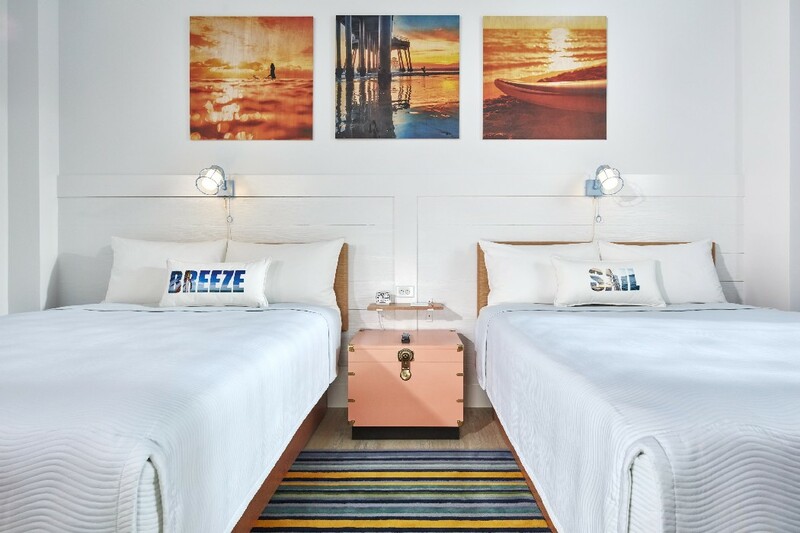 Inside the rooms, the design features a coastal aesthetic that includes wood finishings and sunset artwork. 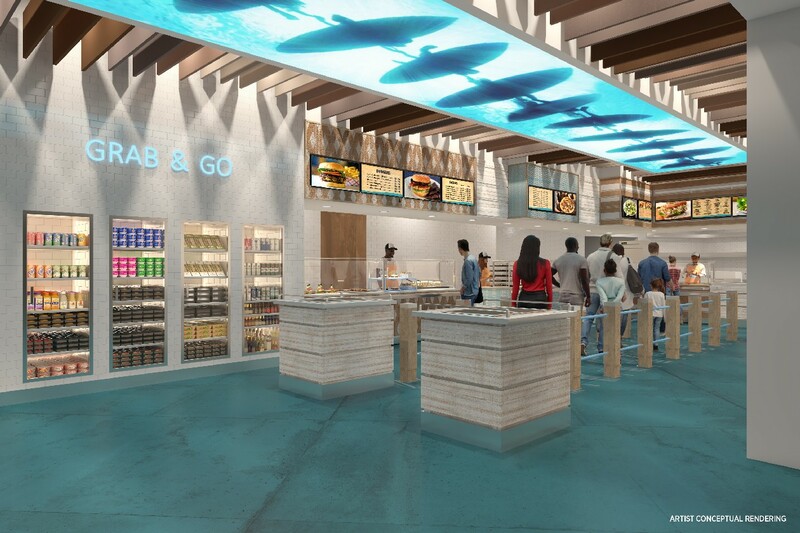 Located on the former Wet’n’Wild plot, a 64-acre site at the intersection of Universal Blvd. 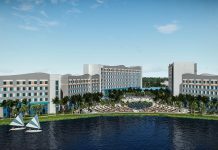 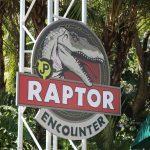 and International Drive, Universal will offer complimentary transportation across the destination. 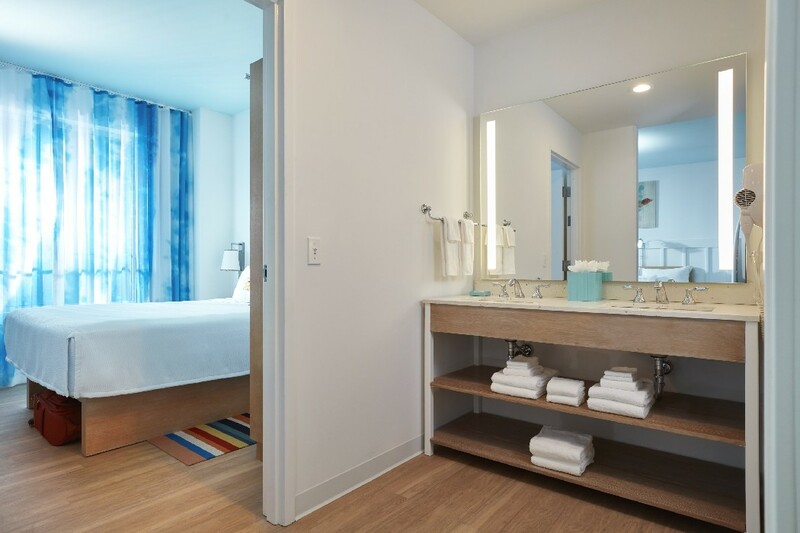 Amenities also include a combined three pools with poolside bars, two food courts with nearby coffee bars, plus poolside bars, fitness rooms, car rental facilities, resort-wide charging privileges, and more. 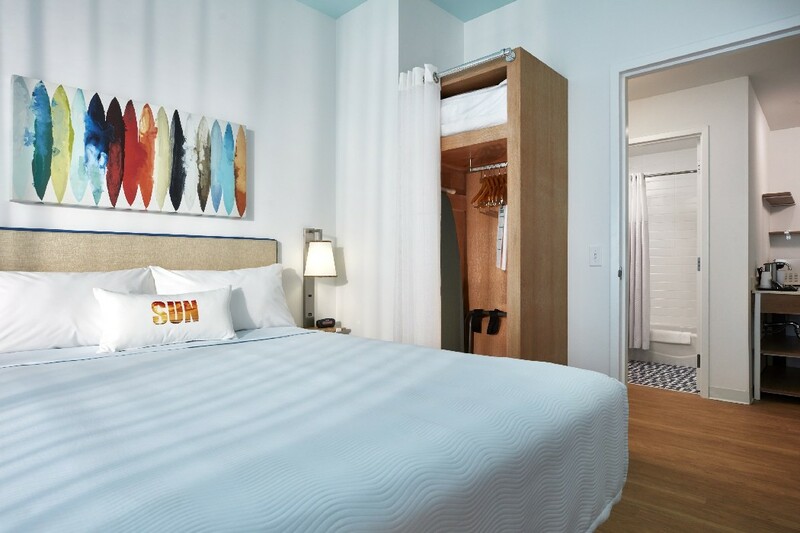 And, to book a stay at either Surfside Inn and Suites or Dockside Inn and Suites, click here.